My Grandma Love died on February 28, 2015. When I heard the news from my sister, I put my feelings away. I didn’t want to deal with grief and I avoided thinking about it. I knew that I needed to sit quietly and reflect about what she meant to me, but I avoided it until today. Today Grandma’s children, grandchildren, great grandchildren and friends will gather to celebrate her life in a memorial mass. My parents and brothers and sisters will be there too and are invited to sit with her family. This morning, I wrote this letter to my Grandma Love’s daughter Janet. It’s funny after writing this letter to Janet, her brother and sisters and to Grandma, I feel uplifted. Grandma has a way of making those she loves feel better where ever she is. Today you will gather to celebrate Grandma Love’s life, share memories and lend support to one another as you lay her to rest. I will be here in NY with my 11-month-old daughter Fei Fei and husband Eric thinking of you and Grandma and sending love. Unconditional Love. I actually didn’t understand that she was not our biological Grandma until maybe fourth or fifth grade! 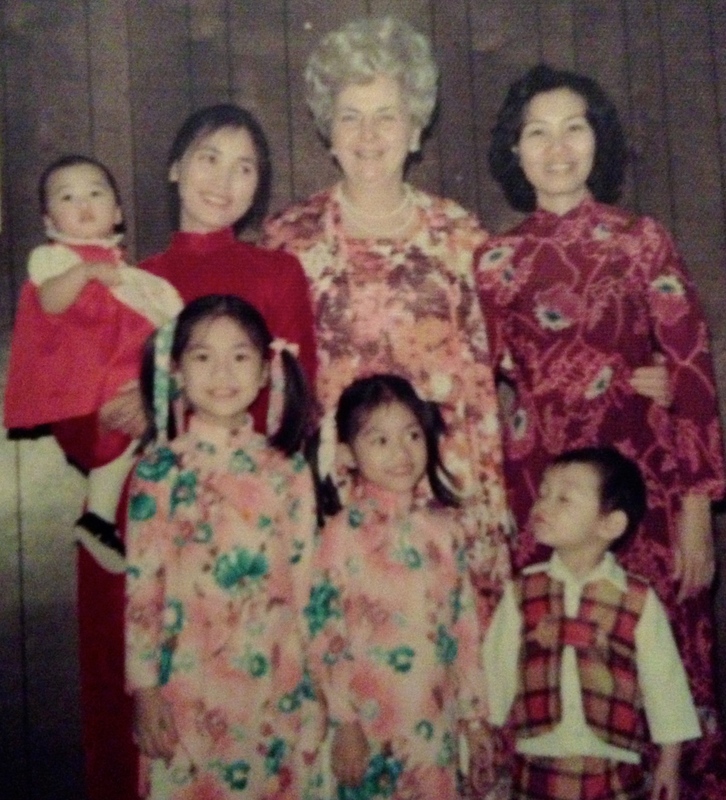 I never added up that we were ethnically Vietnamese and not blood related. Grandma and Grandpa always treated us like family, opening up their home and giving the BEST hugs a child could dream to get. They never got upset when one of us inevitably spilled soda and were genuinely excited to host pizza parties for six rowdy kids. Consistency. Without fail, Grandma ALWAYS remembered every one of our birthdays — that’s six kids to add on top of all her own children, grandchildren and great grandchildren! She made me feel seen and known and loved through mailing birthday cards with crisp dollar bills inside. I’d look forward to the mail the week of my birthday knowing that Grandma took the time to write me a note and send me a birthday wish. I still love giving and receiving cards and I know its because Grandma made the effort every year. Generosity. Grandma joyfully gave time, gifts (a unicorn sweatshirt! handpainted Christmas ornament with my name!) and energy to our family for 40 years. I loved her homemade pumpkin pie, fruit cake and baklava that she baked with care and love. She attended first communions, confirmations, graduations for us kids sitting with our parents and beaming with pride. She gave so much of herself to those she loved and I will cherish her hugs, words of encouragement and her presence at the milestones of our childhood. Positivity. Grandma was a beacon of light. To be near her meant you were smiling. Her warmth radiated throughout her home and in all her actions. I enjoyed emailing and talking to Grandma over Facebook in my adulthood and regret I didn’t do it more often. Her kindness, thoughtful messages and shining spirit always lifted me up and I feel blessed to have those memories. Grandma offered her friendship to my parents for 40 years. Have FUN! Grandma had the best laugh and every memory I have of her and Grandpa are happy. 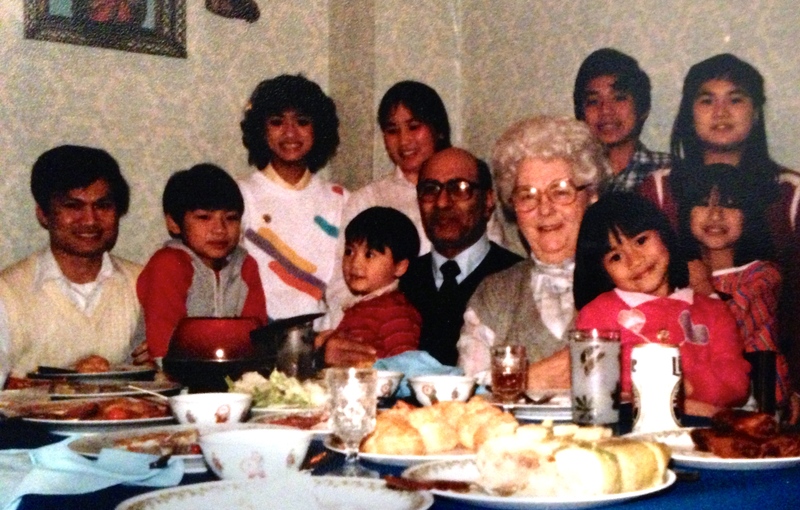 My parents struggled — economically and culturally — when they began their lives in America. 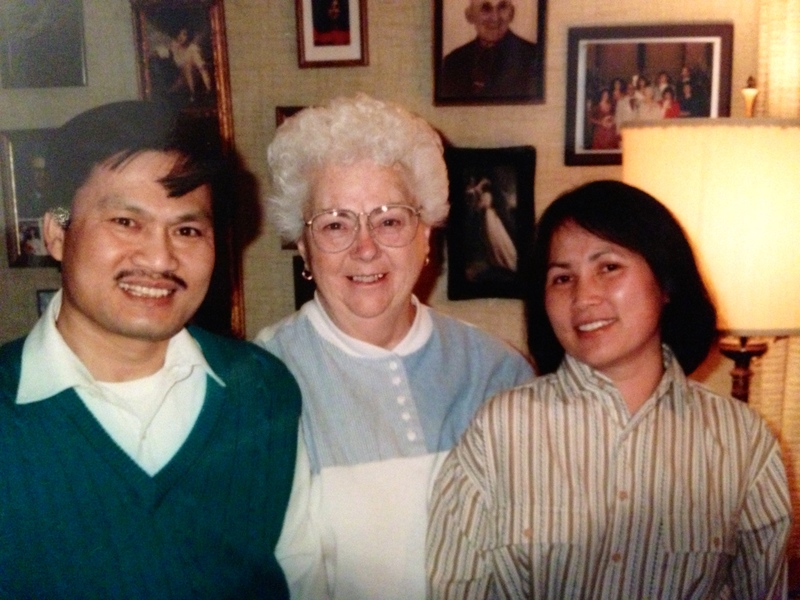 Grandma and Grandpa entered their lives and fostered our family during those difficult years. Their friendship and love were treasures to our family and a visit to their home was a guaranteed GREAT time. They introduced me to Dr. Seuss! I loved reading those silly books at their house and Little Caesar’s pizza was a revelation to my kid tastebuds. I felt like an ordinary American kid when I was around them. They gently encouraged my parents to relax & have fun and artfully eased the cultural tensions between us kids and our traditional parents. Grandma’s laugh could defuse any situation and she knew when to tease my mom or dad to put some cultural friction into perspective. Grandma knew what truly mattered and let go of what did not. Yes, lots of love indeed Grandma. I love you. This entry was posted in Gratitude, Love and tagged friendship, Grandma Love. Bookmark the permalink.